What If Stan Lee Invented the Infinity Warps using Spider-Man and Usagi Yojimbo? Home » Comics » What If Stan Lee Invented the Infinity Warps using Spider-Man and Usagi Yojimbo? The Infinity Warps are a universe of Marvel characters mashed up with other characters, created as part of the Infinity Wars super-mega-crossover event last year. And they stuck around after the ending of that event thanks to some Infinity Stone chicanery. 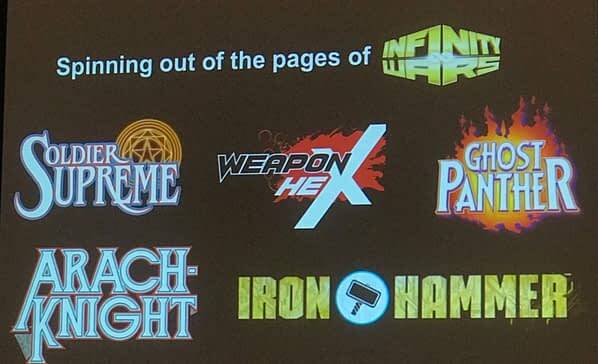 And as part of a new event this Summer, the Infinity Warps will return for a story running across six Marvel annuals (old school style), written by Al Ewing, with art by Carloses Villa and Gomez, and maybe more, called Secret Warps. We’ve previously joked that the Infinity Warps were actually invented by legendary X-Men scribe Chris Claremont as part of his X-Men Forever series, but what if someone else invented them before Claremont? And what if that person was Stan Lee himself?! Usagi Yojimbo creator Stan Sakai took to Twitter Tuesday to share a sketch Stan Lee drew for him, something Stan Sakai says Stan Lee did often while Stan Sakai lettered the Amazing Spider-Man newspaper comic which Stan Lee wrote. But when Stan Lee sent Stan Sakai this particular sketch, it was different than the usual ones. This one featured a mash-up between Stan Lee (and Steve Ditko’s) wall-crawling superhero, Spider-Man, and Stan Sakai’s samurai rabbit, Usagi Yojimbo! So it looks like it was actually Stan Lee that invented Infinity Warps after all! And all on his own, too! Excelsior!